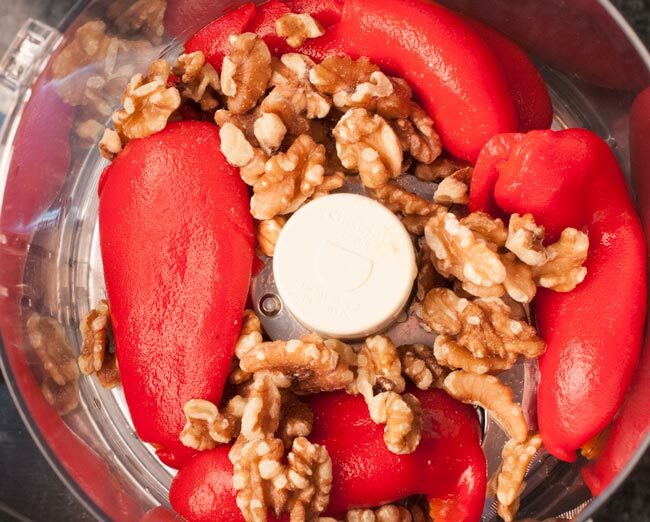 We’ve got a great Vegan Lemon Walnut Roasted Red Pepper Dip for you today which we think you and your friends are really going to enjoy. And there’s nothing better than getting together with great friends and sharing great food! 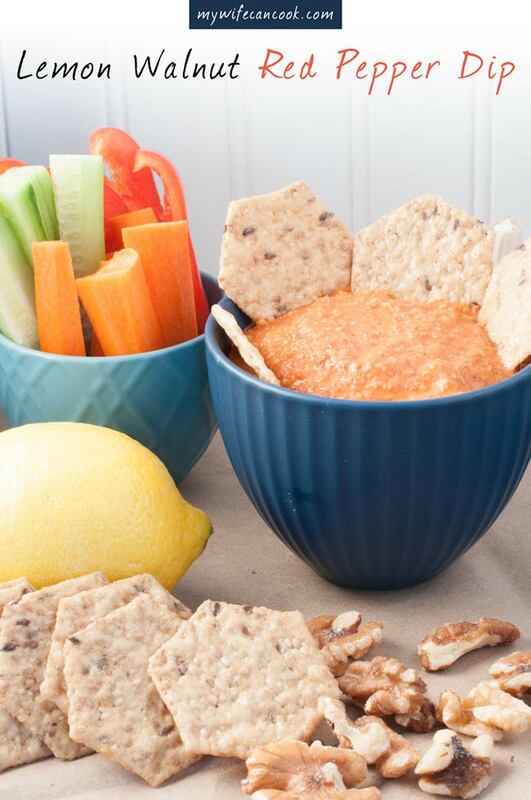 This tasty vegan roasted red pepper dip recipe actually came our way on one such joyous occasion. One of our good friends served an amazing dip at our “Friendsgiving” get together back in November. 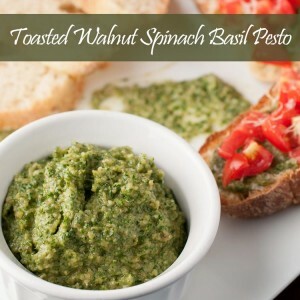 When we asked what it was she said it was a roasted red pepper walnut dip. It was amazing. So we started making it using the basic ingredients she mentioned (no way she was getting out of there without sharing recipe details) along with a few tweaks of our own. Since then we have made it several times for various groups and it has been very well received. 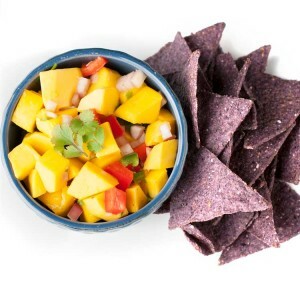 It is perfect with raw veggies or crackers, but I’m sure you could put it on lots of things. 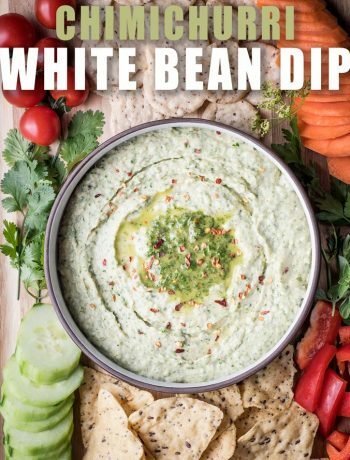 I would love to make it with some fresh naan and our white bean dip. File that away in “coming soon”. After making it, we discovered it is adapted from Muhammara dip, a middle eastern/Syrian dip made with similar ingredients plus bread crumbs and pomegranate molasses. It’s fascinating to trace the origins of food around the globe. Good food is everywhere! I had never heard of Muhammara dip before but have since discovered that Trader Joe’s has a version of it. While it’s Middle Eastern counterpart hummus has chickpeas as it’s base, Muhammara begins with Walnuts. Before getting into cooking I would have never thought on a dip with walnuts as the foundation, but now I’m beginning to realize that you’re only limited by your imagination. 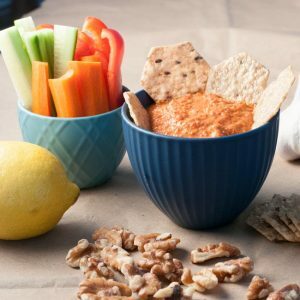 Since this Lemon Walnut Roasted Red Pepper dip is vegan, paleo, and gluten free, it works for all sorts of crowds including those who have dietary restrictions. It’s a nice change from all the heavy dairy based dips that are normally served with a veggie platter. Don’t get me wrong, we love our dairy, but the first rule of hosting is take good care of your guests so if you’re catering to a vegetarian or vegan crowd or hosting someone with a gluten allergy this roasted red pepper dip has you covered on all fronts. That’s really nice, especially since you’re not always sure if there will be people with specific diets among your guest. Plus, as an added bonus it’s really easy to throw in the food processor and whip up in a jiffy! Feel free to change the spices. I’m a big fan of the cumin/corriander combination. But if you are looking for hot-spicy flavor instead, feel free to add chili powder or red pepper flakes to your desired heat level. We have only made it with jarred roasted red peppers, but I’m looking forward to trying it again this summer with fresh roasted red peppers! So whether it’s a big Super Bowl Party or a quiet dinner party, we hope you try this dip and share it with your friends. Shared food, shared laughter, shared memories. That’s what it’s all about! Put all ingredients except olive oil in food processor. Add olive oil while running. 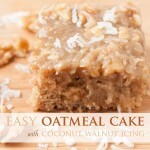 vegan, paleo, and gluten free! I love anything that has walnut in it. That is my favorite nut. Could never have imagined a dip with it. Totally loving it!! This is just the kind of snacking dip that we need more of in this house… We’re all watching our weight and a healthy option would be welcome! Exactly! Sometimes eating a big plate of veggies becomes so unhealthy when you pair it with tons of creamy dips. What a great combination of ingredients. This dip would taste great on just about anything. I would even use it in place of mayo. Yum! Yes! Mayo works in a pinch, but there are so many more flavorful options. I need to try it on a sandwich! 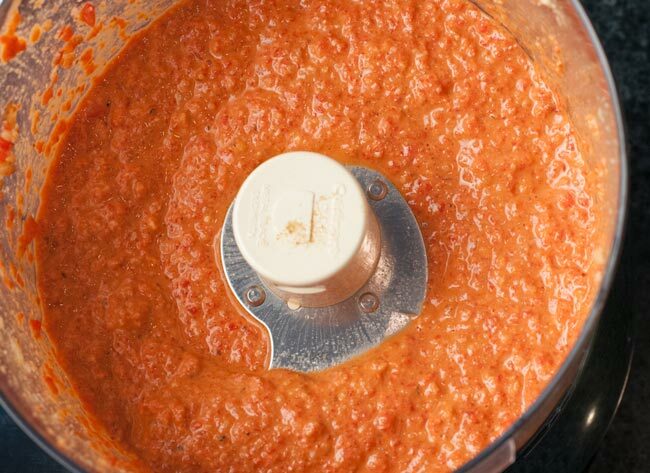 I am obsessed with muhammara–it goes so well with grilled veggies in the summer! Your version sounds delicious–I love the lemon! 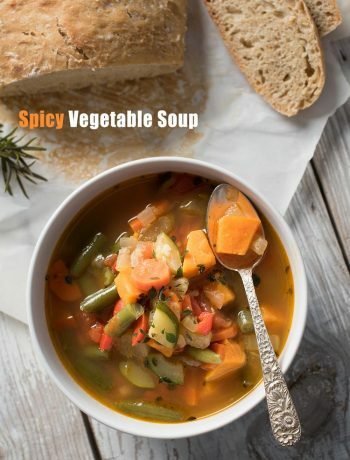 Oh, I need to try it with grilled veggies! 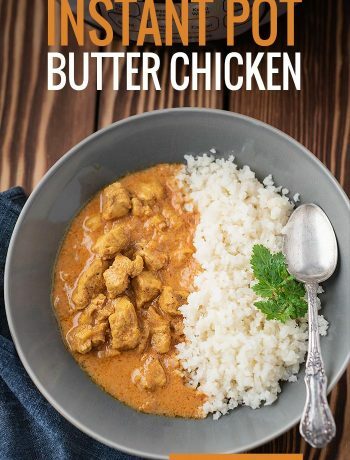 Fab recipe. Just what you need this time of year when you’re having guests over for garden parties and off out for picnics. Thanks! It’s great to have on hand to just pull out for easy summer entertaining! Red peppers are amazing. 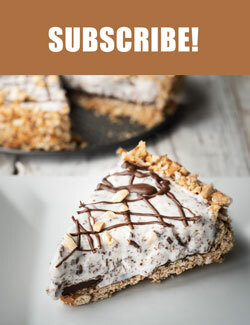 This is definitely great for entertaining (quick, easy, popular)!